Why does the layout appears wrong, and some visual elements are missing/in the wrong place after updating the software? 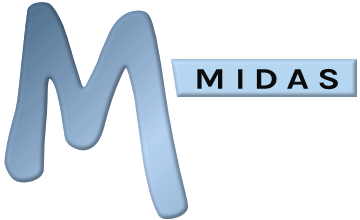 If you're not using a custom theme, and are experiencing this issue, it may be that your web browser is still "caching" parts of the version of MIDAS you were using prior to performing a software update. Therefore, to correct the problem, please clear your browser's cache (Temporary Internet Files), restart your browser, and try accessing your MIDAS system again. 1) Elements from your earlier version of MIDAS are still being cached elsewhere i.e. on your network cache. You may need to contact your IT/network/system administrator for assistance. 2) MIDAS was unable to fully update its theme files due to a permissions issue on your server. Please manually download and update your MIDAS theme, and check the server permissions for your MIDAS "Themes" directory to ensure that for future updates, your MIDAS system can automatically write to this directory in order to update theme files.